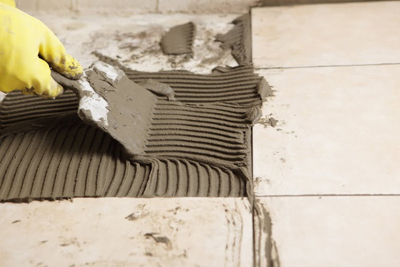 Our company is a specialist when it comes to tile installation, cleaning and repair. We’ll take care of all your tile concerns. Tiles are popular materials used often for floors and walls, although they may also be used for roofing. They come in varying sizes, colors, materials, styles and designs, giving owners a wide range of options to choose from. Finding something that suits your personal taste and preference is not difficult because of the choices. They range from simple to intricate ones that would project the look that you’re after. Tile installation requires skill, experience, and to make sure that it’s done perfectly, only allow professionals to do the job. One mistake in installing the tiles could affect the overall look of the wall or floor, especially if there’s a pattern that must be followed. Studious experts at “Drywall Repair Granada Hills” are meticulously trained to perform this task. They install simple to intricate patterns accurately and have the project done in the soonest possible time. Ceramic tile installation is what we often perform, as this is the type of tile that many customers use. However, they work on all other types of tiles, including porcelain, mosaic, glass and marble tiles. If you’re having your kitchen backsplash tiles installed, let us perform the job as this is one thing that we are good at. We’ll install the tiles on your kitchen wall to prevent your drywall from being damaged by water. Other areas where we often install tiles are bathroom, shower, living room and the pathways outside the house. If you have a swimming pool, we can also install these tiles for you. A broken tile is enough to ruin the overall appeal of the floor, wall, backsplash or countertop. If you have a broken, cracked or chipped tile, give us a call immediately so we can fix it for you. In case replacement is required, we remove the damaged tile and replace it with one that has the same design and style. Another service Drywall Repair Granada Hills provides is tile cleaning. With safe and proven effective cleaning solutions and materials that bring back the life and beauty of your tiles, satisfaction is guaranteed. Dirty tiles are not only unattractive but they are also unsanitary. Let us help you solve this issue by hiring our service. Contact us by calling our number anytime you need our assistance. We are always ready to help you.